Floradix Helps To Maintain The Health And Vitality Of Your Family. Good health and well-being are vital if we are to enjoy life to the full - and normally, we can expect to maintain our vitality through a balanced lifestyle which includes healthy food, plenty of exercise and lots of rest. 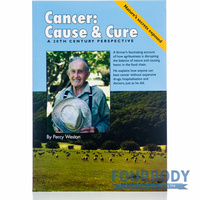 However, there are times when our reserves run low - because of the stresses and strains of daily life, through lack of sleep and regular exercise, or because sometimes we may not eat a balanced diet which contains the vitamins, minerals and nutrients we need. 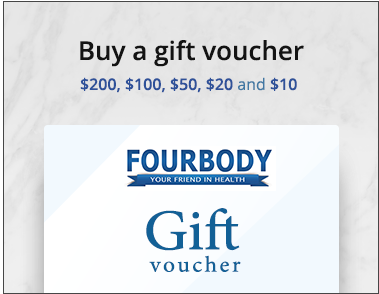 That's when Floradix can be an ideal supplement, helping to maintain vitality and all-round well-being. Floradix contains delicious herbs and fruit juice concentrates and also iron (II), B vitamins B1, B2, B6 and B12 (important elements in blood formation) plus vitamin C. Floradix can protect the health of the whole family, from young children to expectant mothers and elderly people. What Makes Floradix So Special? - It is from alcohol, animal derivatives, synthetic additives, chemical preservatives and colourings. 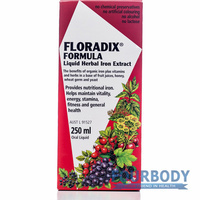 - Fruit juices give Floradix a pleasant taste. - Floravital is suitable for vegans. The body's iron comes entirely from food and is derived from meat, fish, fruit, nuts and vegetables. 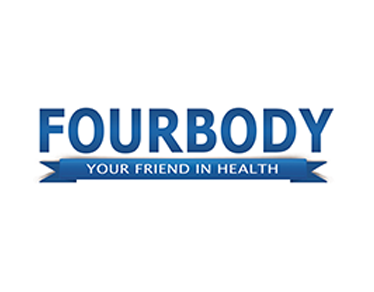 However, not all iron that enters the body is absorbed - and medical experts agree that most of us don't take in enough iron - which is why Floradix can be so helpful! 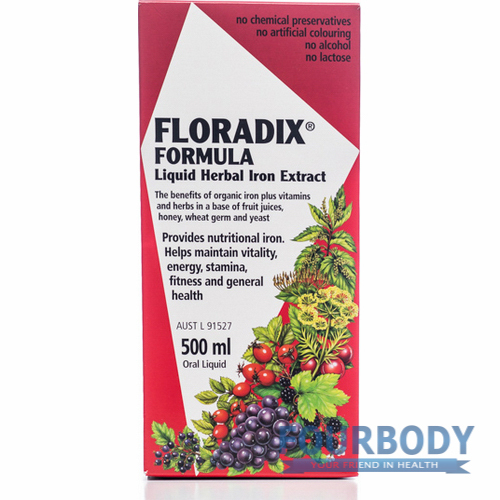 TIP: It is best to take Floradix Herbal Iron Extract on an empty stomach to ensure full absorption - so ideally 30 minutes before food or a couple of hours after. Avoid taking iron supplements with tea, coffee or milk as they can inhibit the absorption. Drinking orange juice or any other fruit juice together with iron supplements can actually help to increase the iron absorption due to the vitamin C content. 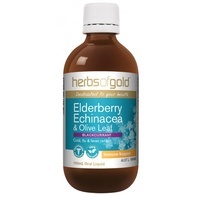 Carefully selected herbal extracts from nettle, fennel, quitch roots and other plants help maintain a healthy digestion which is very important for the absorption of iron. Together with the fruit juice concentrates these herbs counteract digestive problems often associated with other iron preparations. 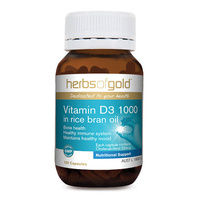 An antioxidant vitamin that assists iron absorption and supports the body's mechanism. 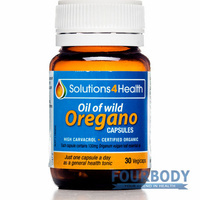 Helps maintain healthy gums, teeth, skin, and blood vessels. Women and girls of child-bearing age have great demands made on their bodies and iron reserves through hormonal changes, menstruation - and sheer hard work! Often, there isn't time to eat properly, which can result in a feeling of tiredness and being run-down. That's when Floradix can really help! The physical and intellectual growth of children consumes the body's iron rapidly - and, given the unsuitable foods that young people often eat these days - an iron supplement can be a very sensible safeguard for good health. Slimmers who follow a strict diet may not eat sufficient of the right foods to maintain their iron and vitamin levels, so Floradix can be useful in making up the shortfall. Pregnancy takes huge amounts of energy from a woman's body, as does breast-feeding and motherhood, so demands on iron and vitamin reserves can be particularly high. 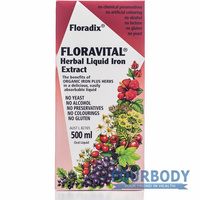 Floradix or Floravital make an ideal iron and vitamin supplement. As many as one in four elderly people suffer from a shortage of iron in the blood, as well as a declining interest in food, so it's particularly important that older people should ensure a regular intake of iron and vitamins, particularly during convalescence from illness. Athletes make great demands on their bodies so they need extra iron and vitamins. Even those of us who take less demanding levels of exercise require more nutrients to maintain our high energy levels. 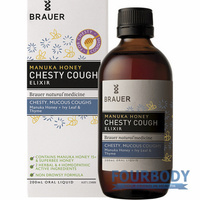 In a non-medicinal base of wheat germ powder, yeast extract, honey and juices from pear, grape, black currant, orange, blackberry, cherry and beetroot. 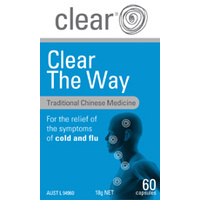 Adults: 10 ml twice daily, morning and evening, 30 minutes before meals. 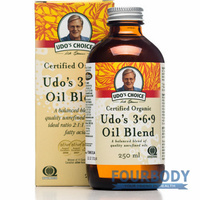 Children (between 6 to 12 years): 5 ml 2-3 times daily, morning and evening, 30 minutes before meals. Children (between 1 to 05 years): 5 ml once daily, 30 minutes before meals.